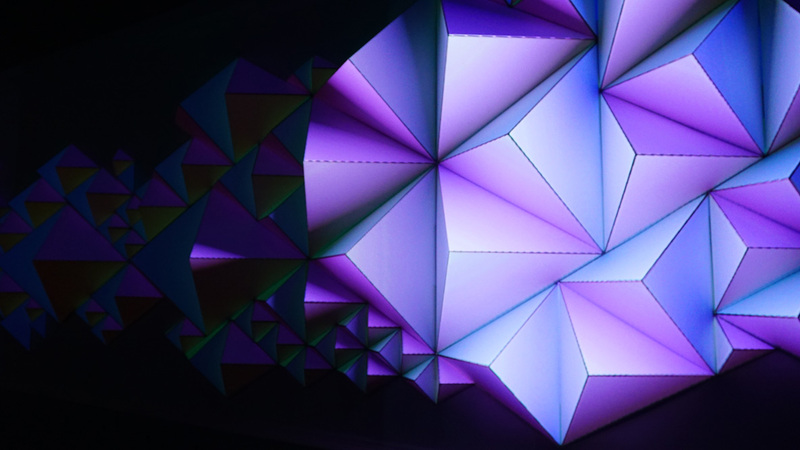 Ephemeral Geometry I 2017, is a permanent sculptural video installation at Les Dominicains de Haute-Alsace in Guebwiller, France. 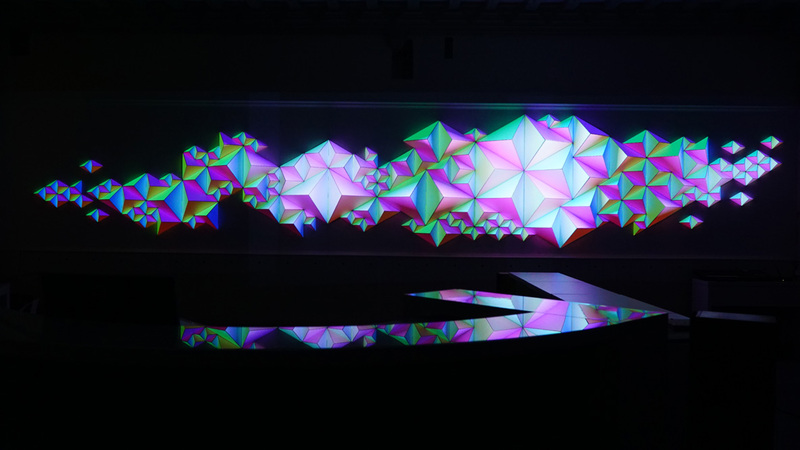 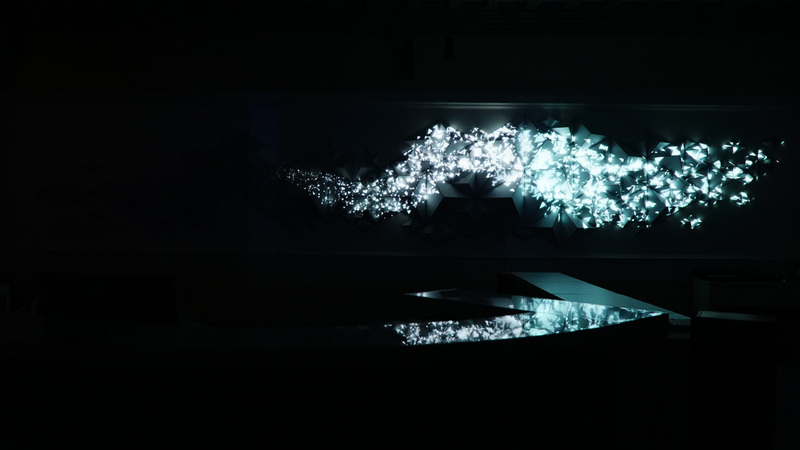 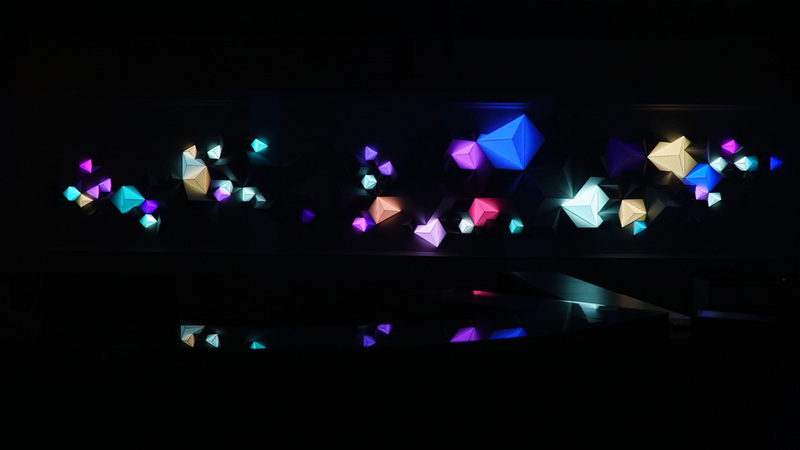 Utilising video mapping technology to create delicate and colourful shifts to the surface of the sculpture, Ephemeral Geometry I morphs and moves in slowly developing patterns, both highlighting and concealing the geometric nature of its structure. 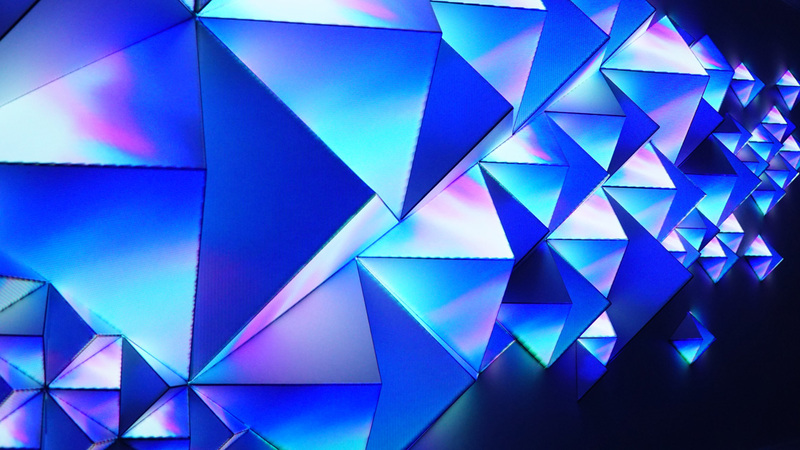 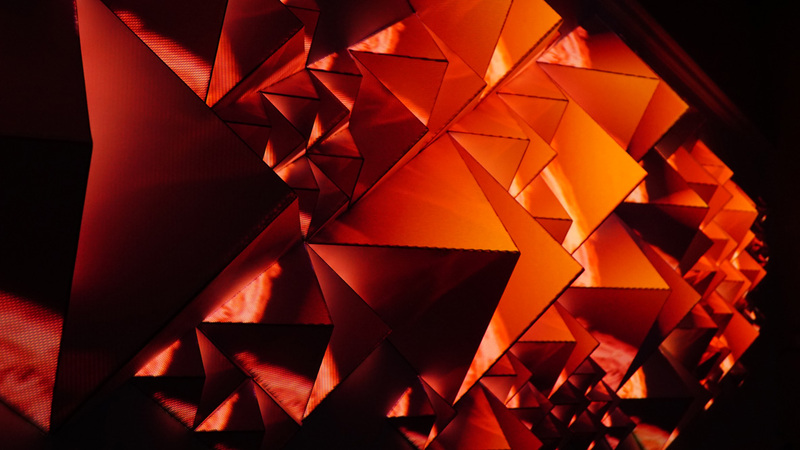 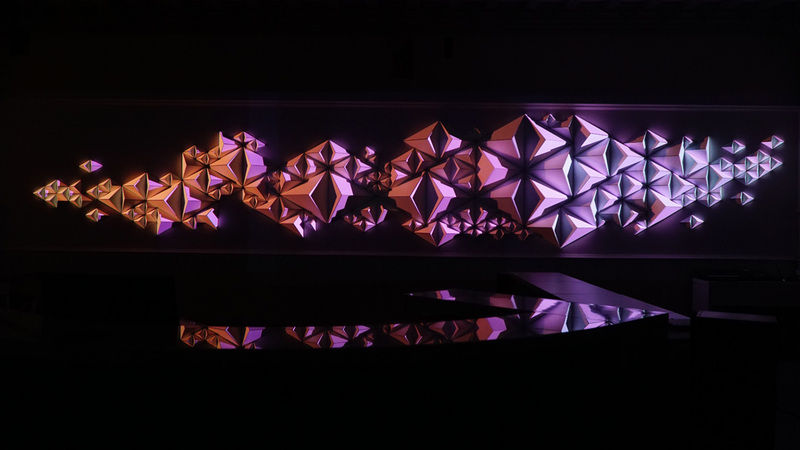 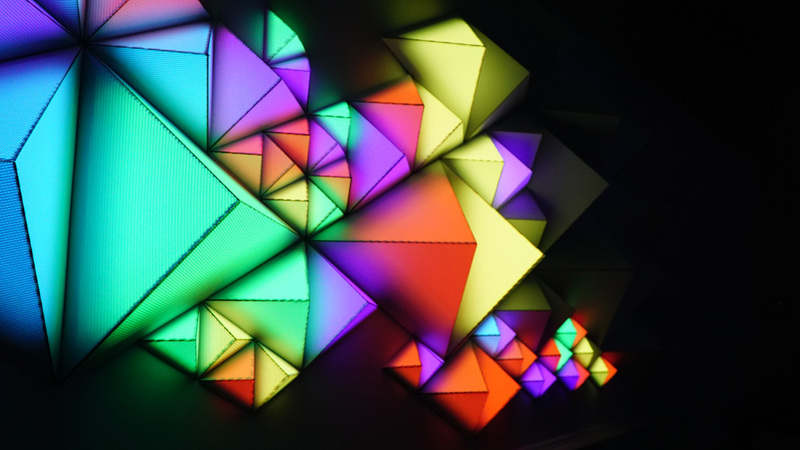 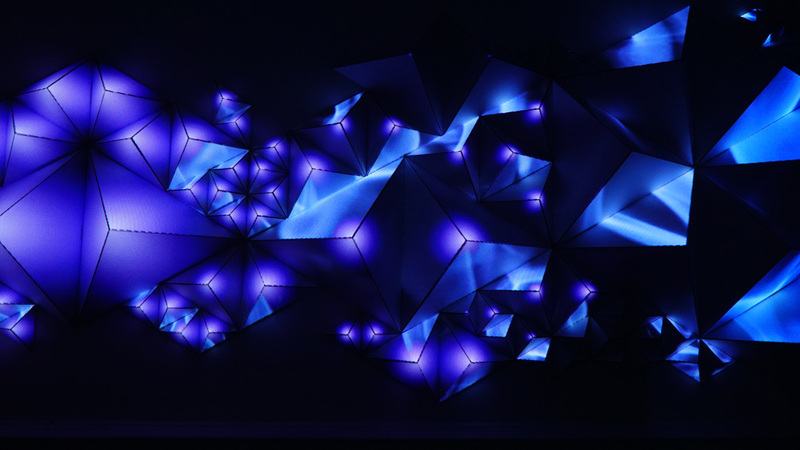 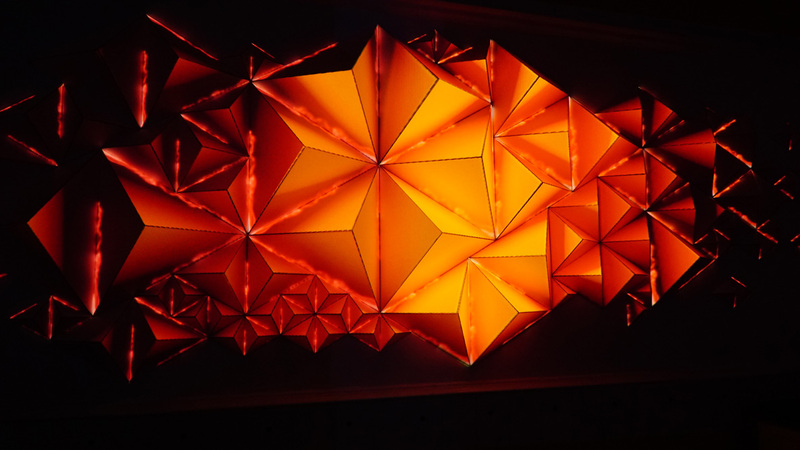 Made from lazer cut sheets of light cardboard, folded to form almost 200 tetrahedrons, the sculpture is pieced together and hung asymmetrically, as if it has grown organically across the wall. 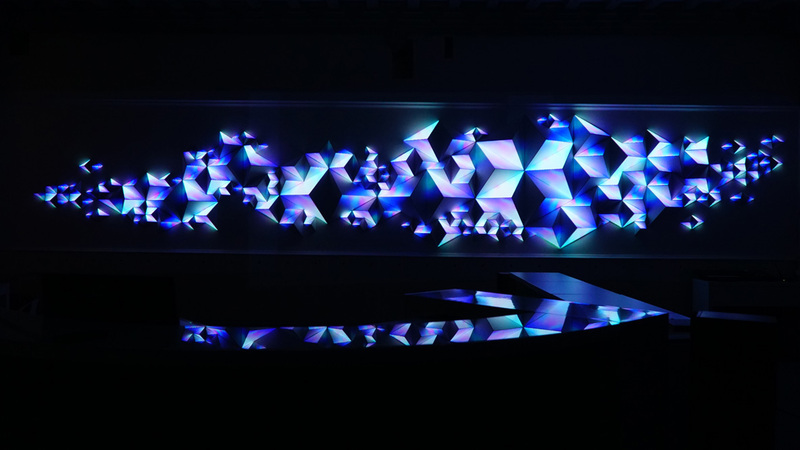 Bespoke video content plays across the surface, created specifically with the Les Dominicains space and audience in mind. 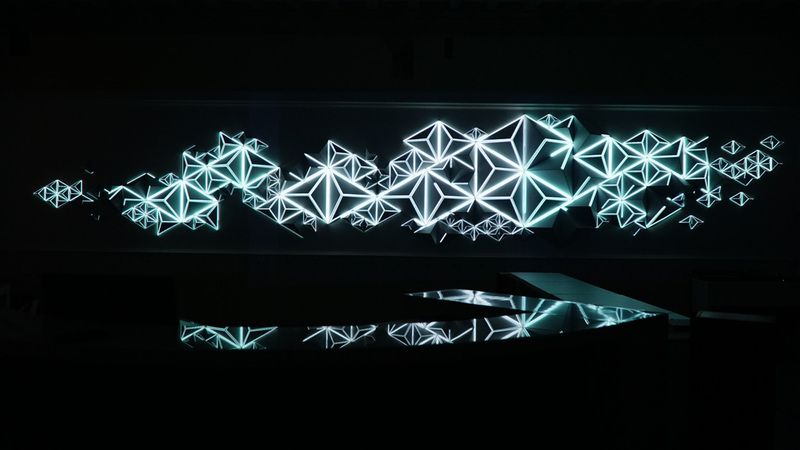 Resolume and Millumin mapping software’s enabled the detailed mapping and the ability for the venue to easily choose between different visual sequences depending on the atmosphere they wished to create. 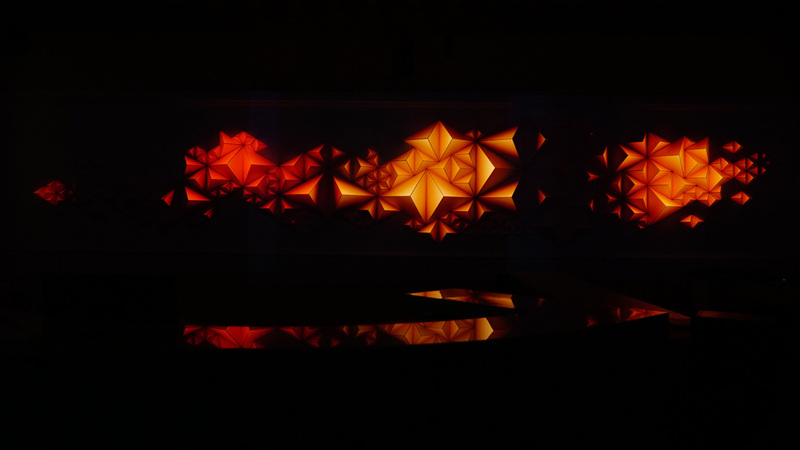 For me this project was exciting because it brought many challenges with all the distinct phases in realising this work; design of the form, structural design and material testing, production of the structure, design and production of the video, then onto installation of the structure and mapping of the video at Les Dominicains. 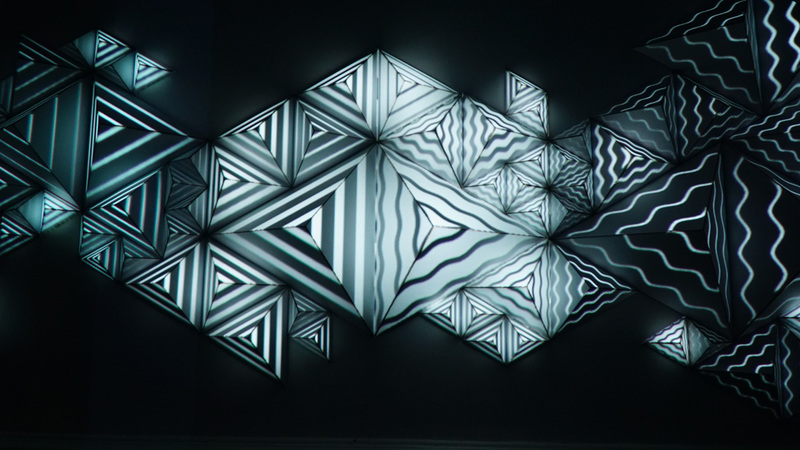 A big thank you to Les Dominicains for commissioning this piece and for their support in the installation process.